Mumbai the dazzling metro city is having its own charm attracting people from different Indian states. They get mixed up in the ocean of a mixed culture formed by blending many different beliefs. These families from many places in India normally are observed visiting their native places at least once in a year. And for getting refreshed they often opt for short trips of one day picnics near Mumbai. Some of the best places for family one day picnics near Mumbai can be summarized as Matheran, Bhivpuri waterfall at Neral, Zenith waterfall at Khopoli, Ekveera Devi temple and Karla caves near the temple at Lonavala. Yazoo Park at Virar, Nature walk at Tungareshwar are other attractions near Mumbai. Matheran is the best spot near Mumbai inviting people of all ages and especially children who are crazy to ride the toy train to Matheran. Riding this narrow gauge train plying between Neral and Matheran is the best activity for the children and the other family members. If you are travelling in the monsoons then nearby Bhivpuri waterfalls is another beautiful place to visit. 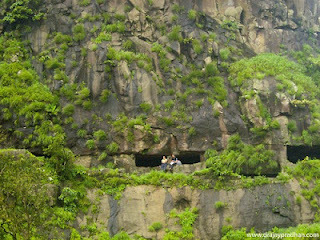 Ekveera Devi temple at Lonavala near Pune is the most devoted place for the fisherman called Koli tribe in Maharashtra. This place along with the nearby Karla caves is visited by many families as a means of devotion and a family trip near Mumbai. Nature walk at Tungareshwar in westerns suburbs near Vasai is a great and ideal place for the family outings. Further if you are travelling to Panvel you have lots of one day picnic spots for a day trip with family and friends. Panoramic resort the resort at Karnala, on the Panvel Goa road is a combination of fun and fantasy ideal for family picnics. We offer modern amenities and the most recent water slides at the resort. At our resort you will get a complete package of fun and entertainment.